Monitor your employees’ in-time, out-time and total number of hours worked, including break intervals with ease! Managers can track their employees’ time and attendance from anywhere and at any time. You can use an API to integrate the attendance management software with any type of attendance terminals in your organization. This includes online web check-in and check-out that lets managers control where an employee can clock-in/clock-out from. Entry and exit data of your employees will be captured and the total number of hours worked will be calculated automatically. 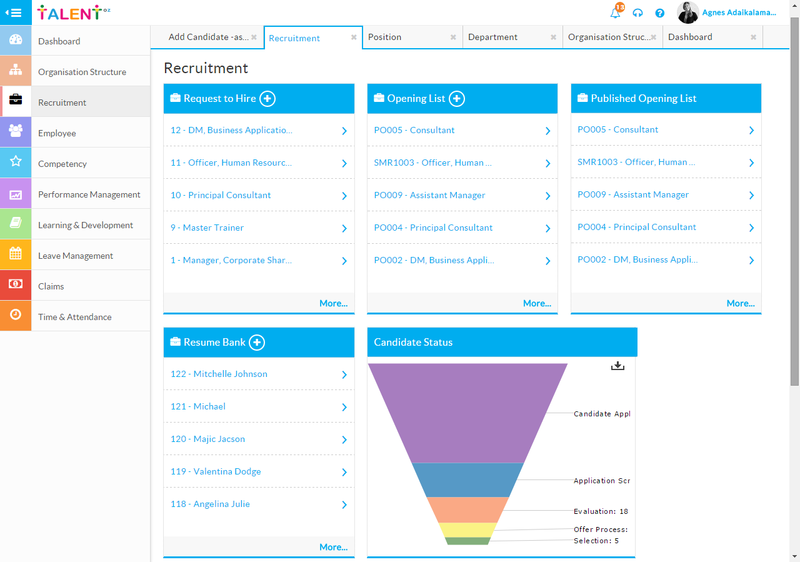 With TalentOz’s attendance module lets you configure and customize the Attendance module according to your organization’s requirements. Flexible options that allows you to add user specific settings where you can set permissions and working hours for a specific user, map user ID from the attendance terminals, set maximum working hours for half day & full day, configure shift details, import attendance data and much more! TalentOz’s Time and Attendance system gives you a color-coded graphical chart summarizing the number of employees in total, the number of employees present, the number of employees absent, the employees on leave & those employees who are on vacation. 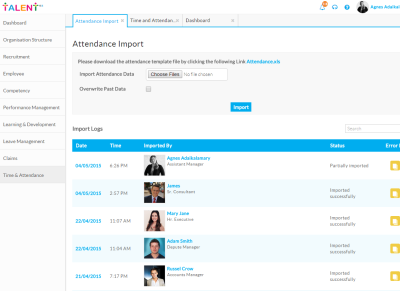 With attendance module you can generate daily and custom reports for individual employees, departments and locations. You can also export the attendance report data in the XLS format as and when required.